Tesla Motors of Palo Alto, California, won multiple awards in the Web Site Awards & Blog Categories of The American Business Awards, including Stevie Awards for Best Web Site in Automotive & Transport Equipment, Best Home Page, and Best Overall Web Design. (Entries for The 2012 American Business Awards are now being accepted- get your entry kit here.) We asked the company for their latest developments in transitioning the world to electric mobility. How much progress is being made in transitioning the world to electric mobility? Tesla's goal is to put as many electric vehicles on the road as possible. Through the Roadster, Tesla catalyzed the rest of the auto industry to develop their own EVs while proving that electric cars have the attention of the public. Mass production of their new sedan, Model S, in 2012 will accelerate adoption of EVs in the premium sedan market. Tesla sells cars online and at 19 stores worldwide. By owning its own retail outlets, Tesla can closely control the customer experience. Tesla stores are positioned in high traffic areas and are designed to invite the passersby in--even if he/she isn’t car shopping--to learn about Tesla's technology and the benefits of electric driving. Tesla will open more stores over the coming months with a goal to inform and engage the public about EVs. Tesla is also putting EVs on the roads by supplying battery packs and drivetrains to Daimler and Toyota. Tesla builds the battery for Daimler's electric Smart and Mercedes' electric A-class, and it is developing a full powertrain for the Toyota RAV4 EV, due out in 2012. What are the top 3 reasons to transition to an EV? 1.Tesla vehicles offer the best in efficiency without requiring a tradeoff in performance or design. 2.EVs are incredibly convenient to own, as they require less service than a gasoline-powered car and can be refueled at home. 3.The world's transition to electric vehicles will end our dependence on oil. What are the latest developments at Tesla? Tesla is currently focused on bringing its second car, Model S, to market. Model S is the world's first premium sedan engineered from the ground up as an electric car. The Model S will push the boundaries of functionality, style, and efficiency. Built around the driver, Model S accelerates from 0 to 60 mph in less than 6 seconds. The in-dash 17-inch touch screen features wireless connectivity, including streaming radio, web browsing, and navigation. The car seats five adults and two children. Tesla designed the car with the battery pack under the floor thereby maximizing packaging efficiency. The space under the front hood becomes a second trunk, resulting in extra cargo room and increased versatility. Model S has three battery pack options: 160, 230, or 300 miles per charge. The battery can be recharged using any conventional outlet. Model S deliveries begin in 2012, and Tesla is currently testing Beta versions of the vehicle. The overarching objective of Tesla Motors’ Stevie Award-winning website, Teslamotors.com, was to deliver information about the company, its cars, and its technology to a variety of audiences in a manner that was both engaging and informative. The website redesign was released immediately following Tesla’s successful initial public offering on June 29, 2010.
site’s previously dark and mysterious look. The website now symbolizes the company’s new branding, with the change to a light, airy design mirroring the company’s shift towards a consumer-focused, mass-market approach. The current site provides a clear framework to demystify, rather than obscure, the benefits of Tesla’s technology. The goal of the site’s simple information architecture is to invite visitors to quickly identify the content they want to explore. The site, built on open-source platform Drupal, provides flexibility for future growth. The clean, simple homepage effortlessly places the car as the hero using stunning imagery. The architecture feeds the “I want more” response by allowing visitors to quickly identify their next area of exploration: deeper dives into cars, technology, or company information. 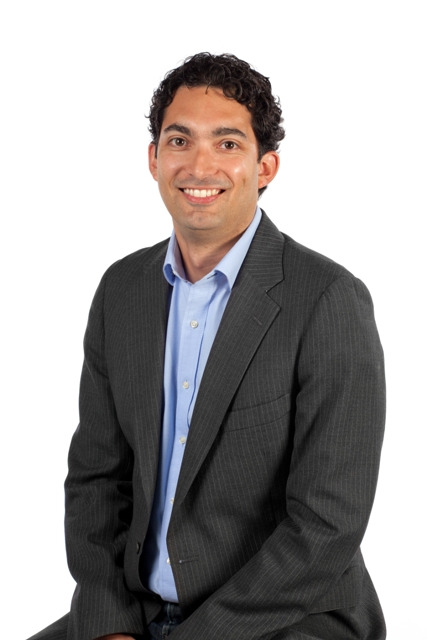 Ricardo Reyes leads global communications and public relations for Tesla, overseeing media relations and product, corporate, online, and internal communications. Before joining Tesla, Ricardo was the head of communications and public affairs at YouTube. He previously handled litigation, competition, and policy communications for Google, Inc. Ricardo also spent a decade working on public policy and communications in Washington DC, including two years at the law firm Bracewell and Giuliani LLC. Among the corporate and political clients he advised, he worked closely with General Motors’ suppliers as they faced major changes to their business structure. Ricardo was a spokesman for US international trade policy when he served as Deputy Assistant US Trade Representative for Public and Media Affairs from 2001 to 2004. He was also managing editor of Regulation Magazine, published by the Cato Institute, and worked with various public policy groups during his time in DC. Tesla’s goal is to accelerate the world’s transition to electric mobility with a full range of increasingly affordable electric cars. Based in Palo Alto, California, Tesla designs and manufactures EVs and EV powertrain components. Tesla has delivered more than 1,840 Roadsters, the world’s first electric sports car, to customers worldwide. Model S, the first premium sedan to be built from the ground up as an electric vehicle, will go on the market in mid-2012 in North America, and in Europe and Asia in late 2012. For more information go to www.teslamotors.com/about. Leave us a comment and let us know what you think about Tesla's website!